Have you ever tried, or heard of, the iconic Palm Springs date shake? We love adding dates into our smoothies for some natural sweetness, but adding them as one of the main ingredients is taking it to the next level! 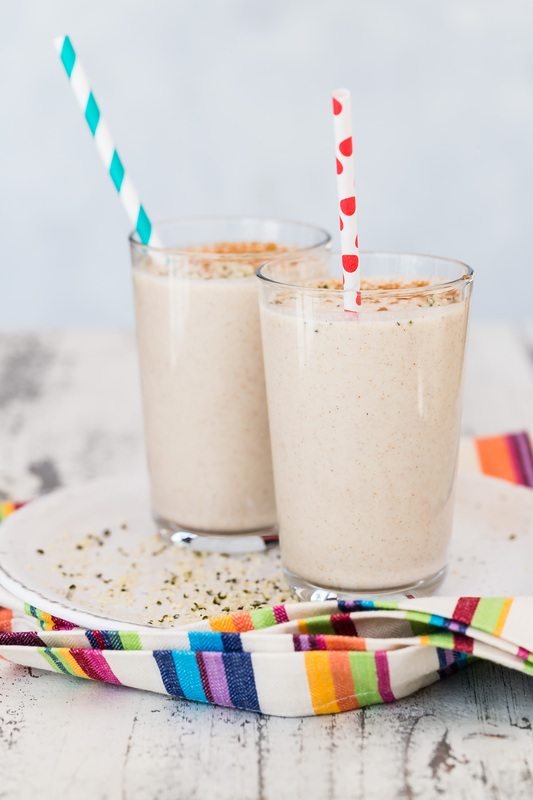 This Vanilla Cinnamon Date Shake is full of my favorite flavors and is also quite healthy. It's secret ingredient is frozen cauliflower which makes this smoothie super creamy, and also adds a boost of Folate, Potassium, and Vitamin C! 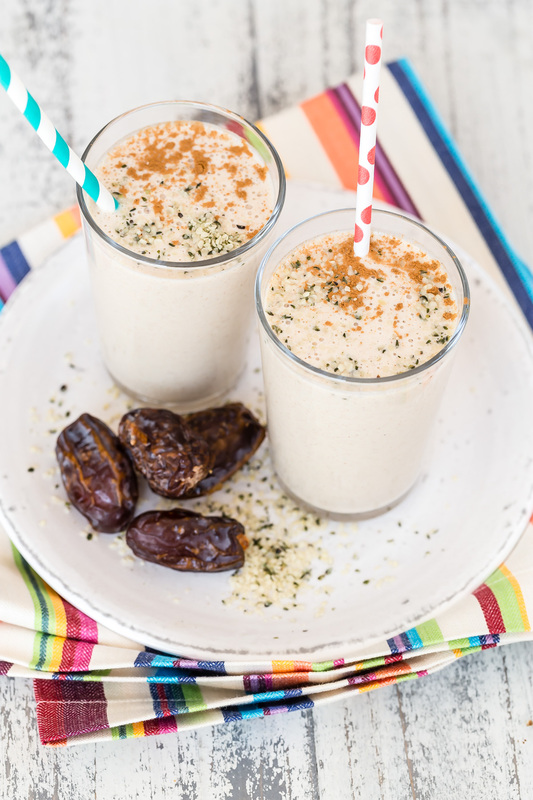 What do you think of the mega date flavor in this smoothie?! Just made this for my boys (6 and 8 years old) and they loved it!!! Thanks for the great smoothie ideas! Hey Catherine, saw you on The Kitchen today and looked at your amazing site. Question: have you heard anyone say they are having bananas bother their digestive system? I finally figured out that bananas are bothering me about 5 years ago. I love bananas and especially in smoothies. Have tried pumpkin purée and baked sweet potatoes and they kind of work as a substitute but do you know what the problem might be with bananas? My allergist told me that because I am allergic to ragweed, I’ll be allergic to bananas. They never bithered me in the past. Don’t understand. Any ideas? Yum! Oops, the nut free icon is at the top of the recipe but it also calls for almond butter. Love your smoothie ideas! This was so good! My kids loved it. We didn’t have frozen bananas on hand, so I use applesauce instead and threw in a few ice cubes. We used almond milk. My kids (18 months and 4 years) loved this smoothie- and I did too! Super creamy and delicious. I omitted the hemp hearts bc my son reacts to them but other than that, I didn’t change a thing. Used almond milk.